Review: A-Ton is a new label from Berlin heavyweights Ostgut Ton, designed to focus on "ambient, archive and alternative music". They've pulled off something of a coup for this debut release, persuading British techno legend Luke Slater to open up the archives of his '90s intelligent techno project, The 7th Plain. Chronicles I boasts a mixture of previously released and unheard material, which moves from glistening, outer-space ambience (the near perfect "Boundaries", "Grace"), to fizzing Motor City techno ("T-Funk Statues"), via intergalactic intelligent techno, dusty downtempo grooves (the jazzy hip-hop rhythms and ambient electronics of "Slip 7 Sideways"), and melodious IDM. Review: The East Coast's house don DJ Jus-Ed is, as always, on an unstoppable run of form. His latest bundle of club-friendly tunes comes on his own Underground Quality, of course, and it's four tracks from the man himself - preaching the gospel like only he knows how! Starting with "Acid Fro", the mood is darker and more hypnotic than his usual approach - this is a proper belter in every sense of the word - while "Ice 597 To Frankfurt" is more minimal, wavey and utterly pouncing. Flip the record and you got the melancholic melodica of "Katzback Gruv", another stomping club affair for the earlier set times, and "Train Ride To Berlin", a jittery, percussion-driven bit of neo-tribalism. Hot, as always. Don't miss this! Review: For the fourth volume in their tenth anniversary series, Dekmantel has decided to go all-out electro. Wisely, they've recruited scene legend the Egyptian Lover to kick things off. His "This That Old Skool" is an unashamed romp through early '80s nostalgia, with the eccentric producer peppering a sturdy TR-808 beat pattern with exotic synth lines, "Tour De France"-style heavy breathing and raw vocoder vocals. Syracuse and Epsilove wrap their skittish electro beats in chiming melodies, trippy acid lines and dreamy vocal snatches ("Scubatomic Love"), while Palms Trax necks a fistful of anti-depressants and delivers the pure endorphin rush that is the melodious and spacey "Honey Lemongina". Finally, fast-rising producer Interstellar Funk offers up a lesson in melodious electro/techno fusion on the standout "EFX Harmonix". Review: For the best part of a decade, Fred Peterkin has impressed with his ultra-deep, soul-flecked take on deep house and techno. Here, his Soul People Music imprint gives birth to a new sub-label, Energy of Sound, with the New York producer delivering a double-pack's worth of previously unreleased cuts. Naturally, the standard is abnormally high throughout, with Peterkin variously serving up sumptuous, dreamy fare ("Down Under", the San Francisco '90s deep house revivalism of "Don't Be Afraid"), chunkier deep house rollers ("Memory P"), crunchy dub house ("Dub In The Sky"), and throbbing, tech-tinged brilliance ("Tokyo To Chiba" and the European-sounding "Sybian"). Review: Melbourne (by way of Adelaide) reppin' hard on the inauguration of new imprint Global Skywatch, following in the tradition of affiliated imprints such as Untzz Twelve Inch, Big Doint and Rhythm Works. For the foreseeable future, they'll be 'releasing audio recordings painstakingly designed to protect your mind and body from government control.' Fair enough then. Features Furious Frank with the deep space transmission of "Victoria Park", the always on-point Dan White - who dons the Rings Of Saturn alias again for the dubby and minimalist stepper "Skywatch Dub" and Mic Mills with "HAARP" but it's all about Francis Inferno Orchestra's deep balearic rendition on the flip that's absolutely terrific. Review: Before Helena Hauff put her name to recorded material for Werkdiscs and PAN last year and incurred the sneering wrath of a thousand keyboard heroes, she was honing her craft as a Sunday evening selector at Hamburg's Golden Pudel. If you've attended her birds and other instruments night at the venue or listened to any mixes from Hauff - we recommend the 2011 submission for the Modyfier series - and you'll hear her slip in at least one or two cuts from the Bunker back catalogue. All of which ensures her debut on the affiliated Panzerkreuz label makes perfect sense and acts as a perfect riposte to those doubting her blossoming production skills. Commencing with the superbly titled "Spirals of Smoke Drifting from Soot Stained Chimneys", the six track Return To Disorder EP demonstrates Hauff's productions are forever teetering on the brink of all out chaos, with this sense of tension crucial. Both "Message from Filippo" and "Blast" are particularly brutal highlights! Review: We never quite know what to expect from leftfield explorer Jon Hopkins, but we know it will be worth a listen. Immunity, his fourth solo album (he's recorded two others, one with Brian Eno and another with King Creosote), doesn't disappoint. Rooted in shuffling, forthright and occasionally off-kilter rhythms, it melds hazy, late night atmopsherics and subtle melodies with intense, droning chords, woozy electronics and all manner of inventive noises. It's a blend that repeatedly pays dividends, from the mournful pianos and jumpy rhythms of "Breathe This Air', to the crystalline, soundscape ambience of "Abandon Window", and glitchy wonkiness of "Form By Firelight". Review: We had to double check that this was indeed the first time the mighty Luke Eargoggle had graced Jan Svensson's Borft label, such is their shared DIY ethos and heritage within Scandinavian electronics. But here we are with Train To Illusion, the Borft debut for Luke Eargoggle and a wonderful four track foray into the classic electro sound the Swede has become renowned for. "Deep Sea Reminder" is a delight that could easily snap on for a lot longer than its eight minute reminder, but the record doesn't stay on this hopeful note throughout. Indeed there is a ruff and ruggedness to "Optical Illusion" which will probably appeal to the Helena Hauff's of the world, whilst "Frau Bowie" could easily be mistaken for a Panzerkreuz b side. Review: ** REPRESS ALERT ** David 'Move D' Moufang's debut album, originally released in 1995, gets a much needed reissue here on Damiano von Erckert's ava imprint. Across the Kunststoff LP's dozen or so tracks, we can hear the zeitgeist of mid nineties electronics taking in obvious influences - mainly from Detroit and Sheffield but undeniably laying down the roots of what would soon become the signature of the Heidelberg producer's signature sound. From the blissed-out ambient house of "Soap Bubbles" (which would be further explored again a decade and a half later on Song From The Beehive with Benjamin Brunn), or "Amazing Discoveries" exploring the same sonic territory as the likes of John Beltran at the time. The bittersweet melancholia of "Tribute To Mr Fingers" which does exactly what it says on the tin, but its really about the many moments tripped-out deep electronica like the sublime "77 Sunset Strip" where the album really shines. Review: These days, there are quite a few vintage Borft releases that attract big money in the second hand market. This may have been a factor in the label's decision to kick off a new "Classics" series showcasing rare and sought-after gems from the vaults. 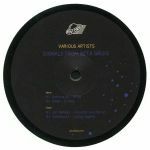 Volume one focuses on tracks released between 1996 and '98, first showcasing the Detroit techno/spacey deep house fusion of Pher's "Tja Boo" (one of the highlights of the producer's now rare-as-hen's-teeth Dans Vid Iglasjon double-pack), before switching to the slower, darker and druggier vibes of Dan Fun's "DFSS1". On the flipside, there's another chance to savour the rubbery, pitched-up New Jersey deep house grooves of Crinan's "Kilimanjaro" and U's "Smooth Lover", a classic chunk of sci-fi techno blessed with some brilliant organ solos. Reference vs CV313 - "The Wake"
Reference vs Marko Furstenberg - "The Swell"
Review: Yoshi is a Viennese house and techno label run by rol:e and Moxx. After recent releases from Buffered Multiple, Dan Lodig and Digilog, the crew are back with an impressive various artists EP here. Kicking off Leiwandizer Vol. 1 is none other than German legend of the underground S-Max with "Ghetto Fabulous Itemz" where he serves up more of his renowned minimal funk, MAD (aka Digilog & Moxx) give us the trippy old school techno bounce of "Severus" and Nino Sebelic channels the classic Jeff Mills/Axis Records sound - in all its majestic and hypnotic glory on "Rose Dreams". Review: Nicky B was a resident at Birmingham's legendary House Of God back in the '90s and it's the zeitgeist of that special period that's captured brilliantly on 9.2% - which gets a much needed reissue here on Prisoner Of Sound 21 years later. 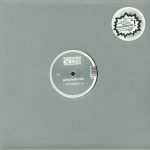 Direct and austere groove executions such as the title track and "Stringed Funk" share similarities with the sounds of fellow Midlands brethren like Surgeon, Regis and Dean Cole. 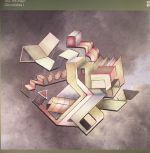 "Dream State" with its soulful and evocative feel was no doubt derived from the influences of Detroit and nearby Sheffield at the time, and the hypnotic cyclicality of "H-V-CAT-R" we could have imagined worked for those strobed-out moments later in the morning when Terry Donovan took over for the closing set.